The aim of this study is to place the notion of energy security under critical scrutiny by unpacking how different actors manipulate the term through the mobilization of existential language as a prism for creating securitization discourse. Through an examination of an Israeli inter-ministerial committee charged with developing national policy regarding newly-discovered natural gas reserves off the coast of Israel, the study finds that the concept of energy security is open for manipulation and various interpretations. While some actors stress environmental acceptability and independency as pillars of energy security, others prioritized supply reliability and geopolitical benefits associated with gas exportation. Each definition of energy security was also found to be anchored in different ideologies, goals, policies and legitimizing factors. The coupling of energy with securitization rhetoric was ultimately determined as working against cooperative efforts, as committee conflicts intensified and suggested institutional measures became disproportional. Itay Fischhendler heads the Environmental and Planning program at the Hebrew University of Jerusalem. His research interests focus on environmental conflict resolution, natural resources governance and decision making under conditions of political and environmental uncertainties. He is a leading scholar on transboundary water institutions and Middle Eastern water policy. He has published more than 30 articles in leading public policy, conflict resolution, peace studies, geography, ecological economics, and environmental journals. 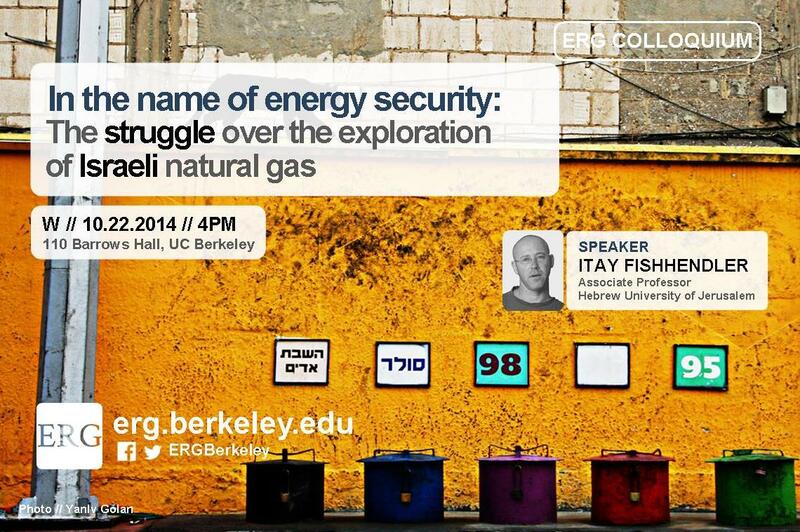 Itay Fishhendler is now engaged in research related to transboundary energy policy.